Lately I’ve been trying very to save money by bringing food to work for lunch instead of spending $7-$10 eating out for lunch every day. Also, I need to pack lunch for Jane every time she goes to work because she doesn’t have long lunch breaks to go out and get food. My goal for bringing lunch is to make something that will taste just as good, if not better, than eating it hot and fresh. This will keep me excited about bringing lunch and help me not be too tempted to go out for lunch with my co-workers. 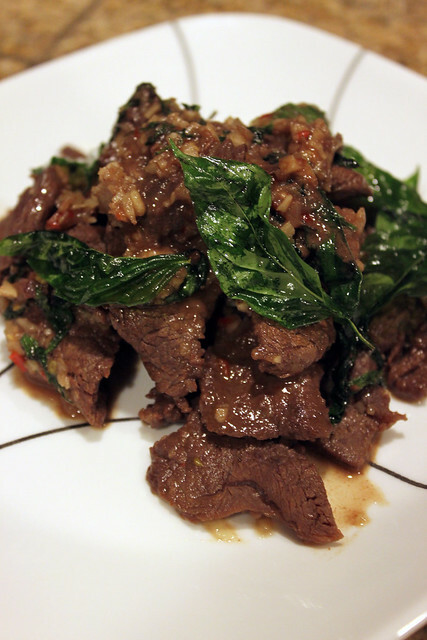 This is my Spicy Thai Basil Beef recipe. This dish works well with other meats, tofu and seafood also. If you’re a vegetarian, substitute soy sauce instead of fish sauce. Feel free to add more or less Thai Chilies depending on how spicy you like. This is a very aromatic and flavorful dish with all the authentic Thai flavors without having to go to a Thai Restaurant and spending $10.00 for lunch. This dish cost me less than $5.00 to make and it fed two people for lunch. Enjoy! Mince garlic, Thai chili, and shallots. Pick basil leaves off stem. Set Aside. 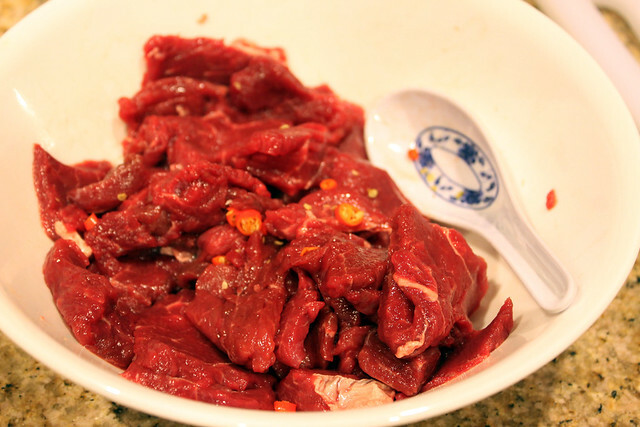 Slice meat and place in large bowl. 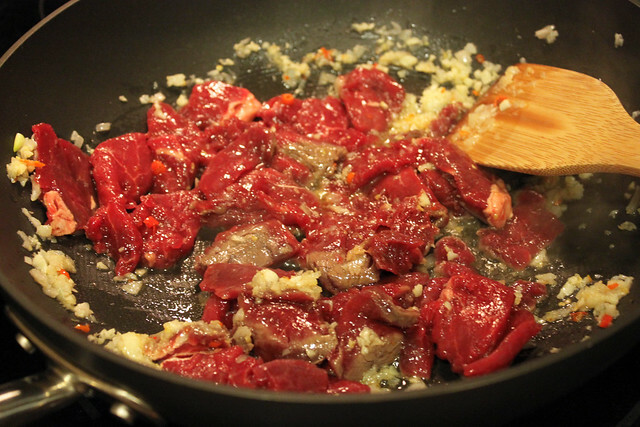 Add fish sauce, brown sugar and 1 minced Thai chili and mix beef. Allow to marinade for about 30 minutes. 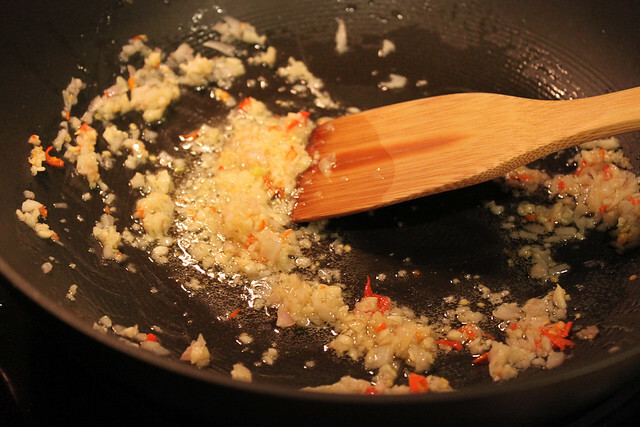 Heat about 1-2 tablespoons vegetable oil in wok to Medium Heat. Stir fry garlic, shallots, and chilies for about a minute. Add beef and turn the heat on HIGH. 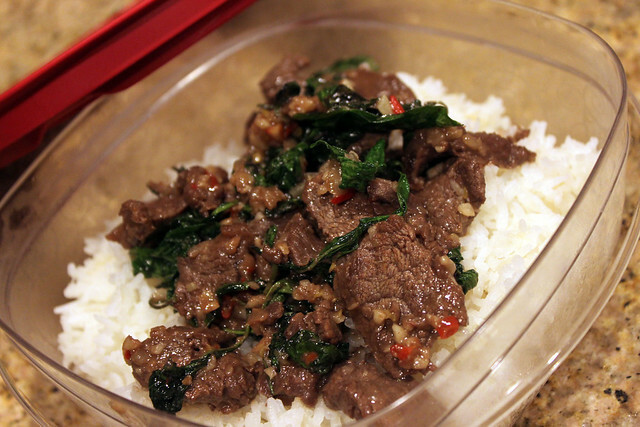 Stir fry beef until cooked. 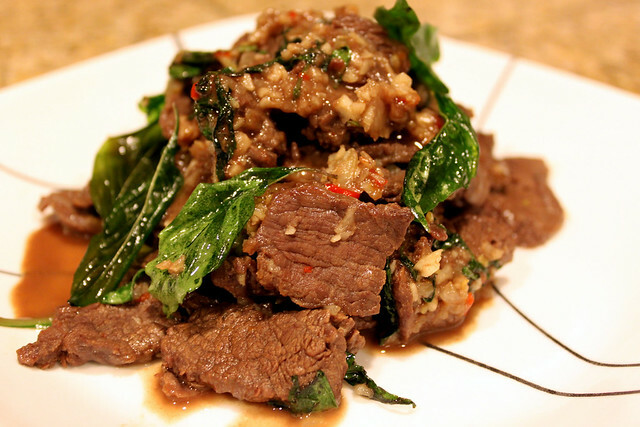 Add Thai basil, stir fry for another minute and serve immediately or pack it away for lunch the next day.